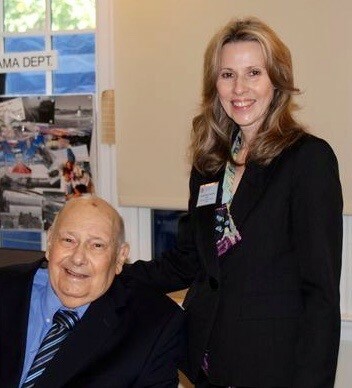 Dr. Wood Smethurst, cofounder of the Ben Franklin Academy and one of the most progressive leaders in Atlanta’s education circles, died July 14. He left behind a legacy of humanity and hope, something celebrated by those who attended his memorial service last weekend. At the end of the service, every one was asked to take a long-stem rose from a floral centerpiece at Glenn Memorial Chapel. It was a way for everyone to leave with something that Doc held close to his heart. Smethurst, 82, was no ordinary man. His influence on education in the region stemmed back to the founding of the Galloway School and The Paideia School, two leading institutions among Atlanta’s independent schools. But never was his presence more felt than at the Ben Franklin Academy. Martha Burdette, who cofounded the Academy and was a colleague of Smethurst’s for 31 years, said Doc wanted to create a school that didn’t feel like a school. He wanted it to be a welcoming place students would love to attend. So he found a spot where he could grow rose bushes and create a home-like environment nestled in the trees. And of course, he insisted there had to be cats. Before the Academy had its own home, Smethurst and Burdette were teaching at the Emory/Oxford Prep Program on the university campus. The purpose was to help incoming Emory students prepare for their freshman year. The rule: No cats allowed. Somehow he got away with it, even though the cats never progressed beyond the level of lying on top of books, rather than reading them. It was the cats that first sold my daughter, Carmen, on Ben Franklin Academy. After looking at several schools, we came upon a cozy campus off Clifton Road. The sign on the door listed several rules: do your own work and be sensitive to the needs of others; do what the teachers tell you; no fighting, hate speech, weapons, illegal drugs, tobacco or alcohol on the property … and then the clincher … don’t let the cats out. Cats? Carmen loved the idea of being able to go to a school with cats! Then she met Doc. Within moments, the two hit it off. Carmen explained she was a night owl. “Me too,” Smethurst said. Then he gave her his cell phone number and said she should call him if she was ever awake in the middle of the night and felt like talking. And that’s the way Doc was. Everyone held promise. It was up to teachers and schools to unleash that potential in every student. Doc’s son Frank spoke at the service of how many people had written Facebook messages thanking Smethurst for saving their lives during fragile points in their path to adulthood. Doc was always able to sense the beauty and fragrance of people, beyond their thorns. We will miss you, Doc.